What to Do When Your Earbuds Keep Falling Out – Far End Gear Article - Far End Gear™ Products for outdoor enthusiasts - earbuds, earphones, and earbud sport grips. It never fails: you download a killer track to your iPod, iPhone or Android and get pumped for your workout. You set off, device securely strapped to your arm, the beginning strains of Jay Z, Katy Perry, or One Republic resonating in your ear. Your adrenaline is spiking, motivation soaring, and then suddenly—silence. You realize that your tunes have inexplicably vanished and your earbuds are now dangling from your arm. You reach down, place them back in your ears, only to repeat the process again and again. Nothing is more of a catalyst-killer than this experience and is one that is common amongst not only athletes, but pretty much anyone who listens to music on-the-go. The good news is that you’re not as “earbud challenged” you think. Though one-size-fits-all earbuds are standard nowadays, sweat and movement tend to either joggle them loose, or knock them completely out of your ears. Luckily though, there’s a cost-effective fix for that —BudLoks™ Earphone Sport Grips from Far End Gear. The concept behind BudLoks™ is simple. They’re soft silicone wings that attach to any style earbuds–including Apple, SkunkJuice and Beats by Dr. Dre to name a few, and are placed in the bowl of your ear to lock them in place (a complete list of compatible products here). Each box comes with three different sizes to choose from, so you’ll always achieve a near-custom fit. 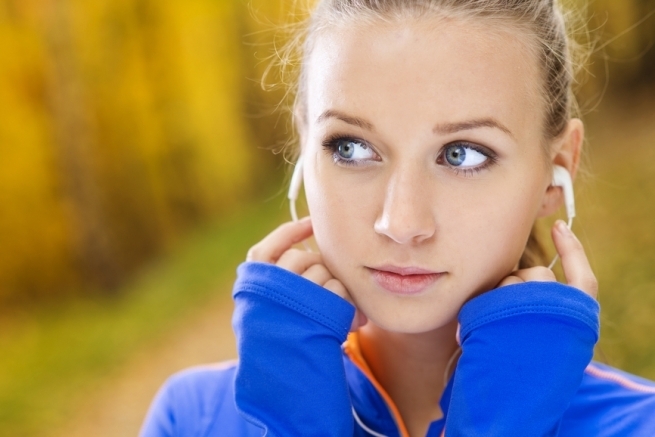 With BudLoks™ , now, even vigorous activity or exercise won’t knock out your earbuds. Go ahead and use them when you walk, run, cycle, go to the gym, or even dance. You’ll be shocked that you can finally listen to your playlist without interruption. BudLoks™ are made from super-soft silicone and weigh only 0.5 ounces, so they’re incredibly lightweight and comfortable. Plus, they’re available in 6 cool colors and are easy to install. BudLoks™ aren’t just for athletes, but for anyone who’s active. They’re a simple, cost-effective solution that turns any earphones into sport earphones and solves a problem we all experience. Simply put, BudLoks™ are music to your ears.